my favorite wreath from this past weekend. isn't there a poem about birds and blackberry pie? that would be a fitting name for this. except these berries are not edible. I should just say that right up front. I have to familiarize myself with nursery rhymes because Eric and I have a new little niece and her name is Inez Famisan-Robertson - born Friday under the sign of Sagittarius! hmmmm...that wreath looks awfully familiar. we love it, too! sadly it's black birds, not blackberries baked in the pie. 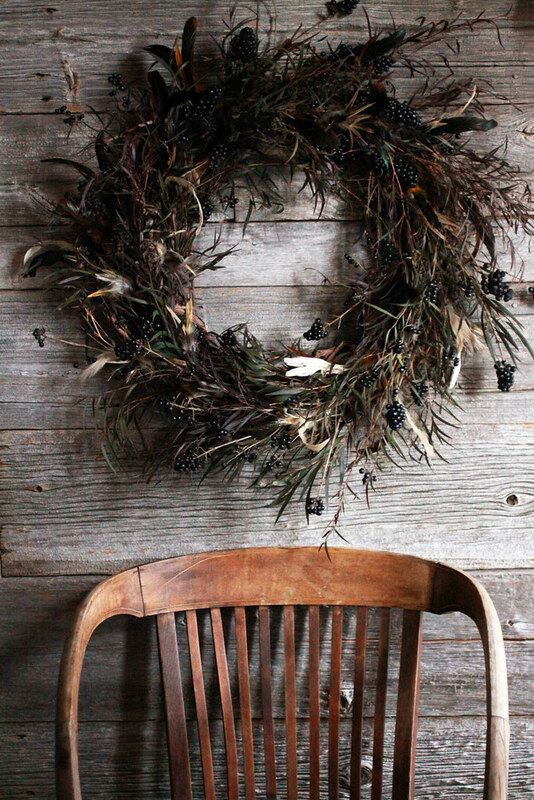 this is the most beautiful wreath i have ever seen. thank you. Beautiful wreath - and more exciting for you to have a new baby niece born into the family. Congrats! This looks heavenly, and congratulations, nothing like little toes to bring you down to earth. ERIC'S AN UNCLE ?!! just what he always wanted. i bet that kid is frickin cute. Friday was my birthday, it is a wonderful day to be born! 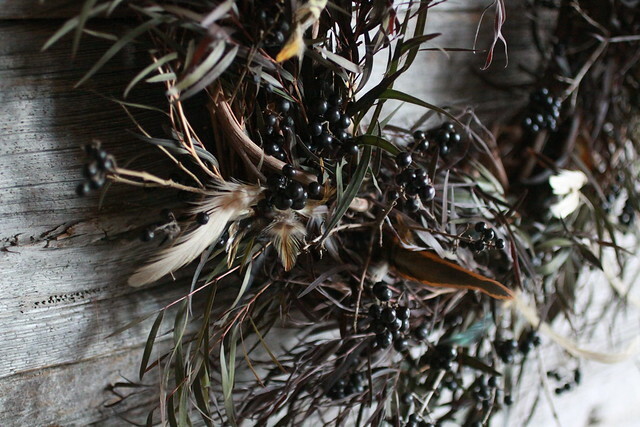 witchy, feathery, wonderful - love the wreath and its autumn blackberries! you're making me want to switch careers... eep. What an incredible wreath. I love it! Congrats and love to you and Eric on your new niece! LOVE. I love the black and feathers. So beautiful and unusual.